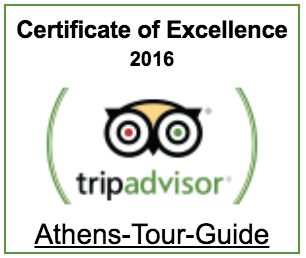 I am an Official Tourist Guide licensed by the Greek Ministry of Tourism. 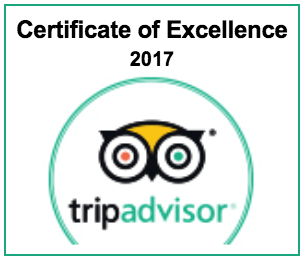 If you are looking for a private tour, it doesn’t get more private and personal than this, as I am not an agency but an individual guide. Keep in mind that only official guides are allowed to give tours. You can recognize us by the blue badge that we are required to wear. 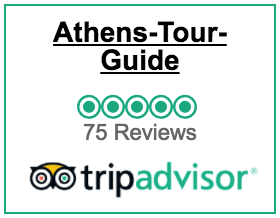 For all of those reasons and more, allow yourselves a few days in Athens so that you can take it all in and visit its numerous museums (including two of the world's most important ones: the National Archaeological Museum and the Acropolis Museum), hills (Lycabettus, Pnyka, Philopappou), plenty of sites, cafés and restaurants in the old town called Plaka or other hip modern areas in the centre or by the sea. So please don't treat this wonderful city as just a stop before you head to Greece's beautiful islands. 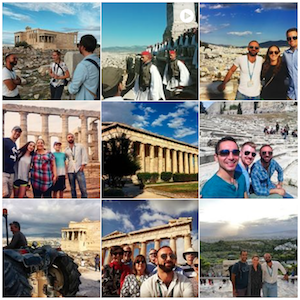 The tours can be customised according to your needs and interests to make your time in Athens as enjoyable and enlightening as possible! Click the "Chat Now" button below to start chatting directly with me.